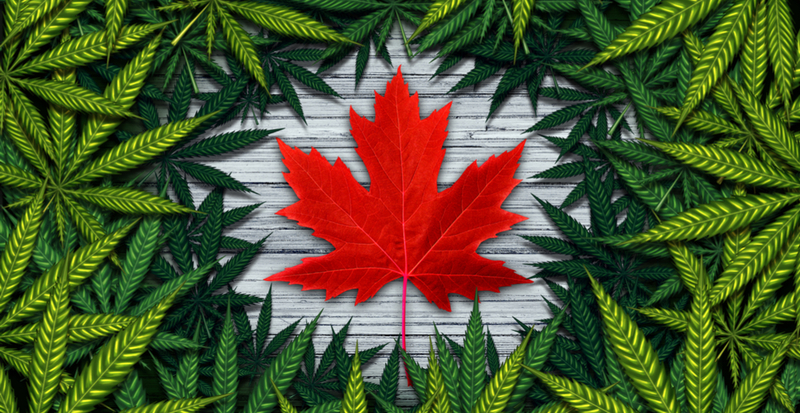 Legalization will affect many domains in Canada. The economy, politics, and culture will all be affected by the integration of cannabis into the legal sphere. Collaboration will be key between the public, government, and industry, but there seems to be a divide and a lack of communication. The British Columbia Independent Cannabis Association (BCICA) hosted a panel titled “Cannabis Curriculum: Who teaches the teachers?” to discuss the changing face of academia in relation to cannabis. The panel was moderated by Travis Lane, Director of Groundwork Consulting, and featured David Purcell, Director of Emerging Business at Kwantlen Polytechnic University; Barinder Rasode, Executive Director of NICHE Canada; Jamie Shaw, former Government Relations Director at MMJ Canada; and Adolfo Gonzalez, Seminar Leader at CannaReps. The discussion highlighted many of the issues around legitimizing cannabis to a mainstream audience, and what needs to be done to bridge the gaps. Purcell notes that universities can see the cannabis industry as a risk to their reputation. When establishing programs, it will be necessary to work with the existing cannabis industry to create an accurate curriculum that reflects what’s really happening. Another important factor will be to “do things not only properly but extremely high quality,” said Rasode. She cautions that “we’re only ever one election away from something being completely off the table” and as we approach legalization we need to keep in mind that it’s not a done deal yet. The panel agreed on the importance of eliminating the fiction that has existed around cannabis and its use. Each focused on a particlar aspect they felt could combat the issue. According to Shaw re-education is a necessary step towards breaking down stigma and dispelling myths, both new and old. “It’s like we’ve got an encyclopedic knowledge of thousands of years of anecdotal use that we’re trying to replace with a grade school primer in a new science,” she said. Rasode includes cannabis 101-type education and the connection to wellness in the re-education effort. “We’re shifting an entire culture’s perception on cannabis,” she says. Purcell and Gonzalez both emphasize the need to engage the public and mainstream media in the conversation, and make sure to use language people can understand who aren’t in the industry. Since the plant has spent most of modern history languishing as a street drug, reliable and accurate information is needed. According to Gonzalez, the grey sector has a unique opportunity to collect data. He says they can help the effort by funding academic research and engaging with the scientific community to create proper clinical-model trials. Strict legislation restricts what can be taught or said in schools right now, so Purcell points to dispensaries to lead these discussions. There needs to be a better connection between what we already know and applying it academically. Be “candid when you speak” to the press and politicians, says Lane. Most people are willing to listen, and face-to-face conversations can go a long way. “Our elected officials need to hear from us” says Rasode, who suggests writing to your conservative MPs. People within the industry “need seats at other tables” that are not cannabis related. Social responsibility, acting with respect, and focusing on educating those who don’t understand why legalization is happening will be key to developing effective relationships between cannabis advocates and policymakers. According to Gonzalez, BC culture could be a leading force in helping to change the way we talk about cannabis and the industry. Cannabis is responsible for many jobs, developing economies in rural areas, and there are local multi-generational growers and people with tremendous skillsets that should be brought to the mainstream. She believes that people are mistrustful of anything that is too different or too extreme and that in order to reach a new audience, the approach needs to be taken with love and respect, and focus on educating rather than alienating.